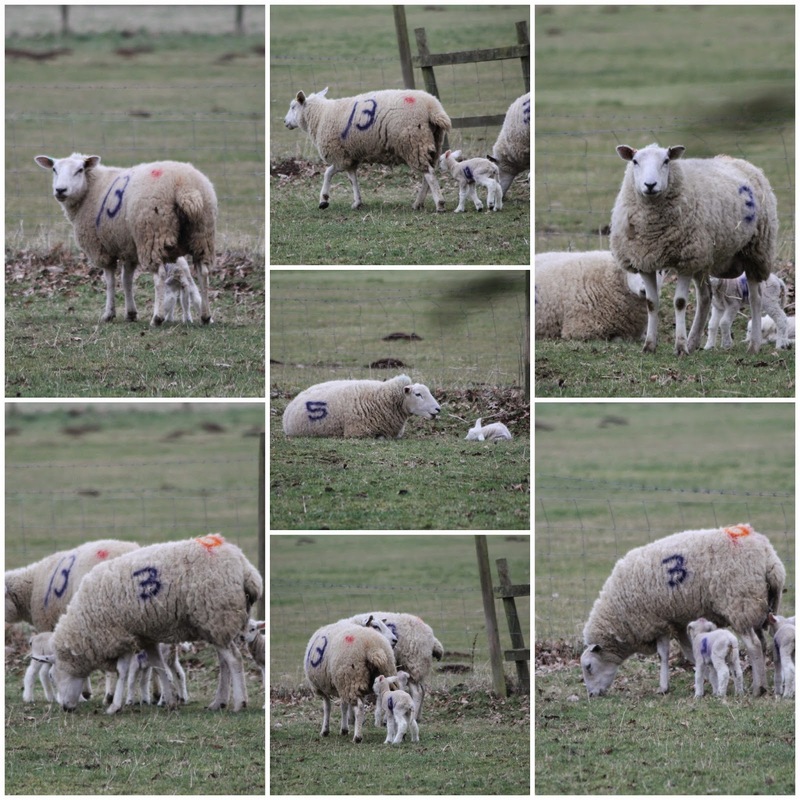 Does anything scream spring more than newborn lambs and daffodils? 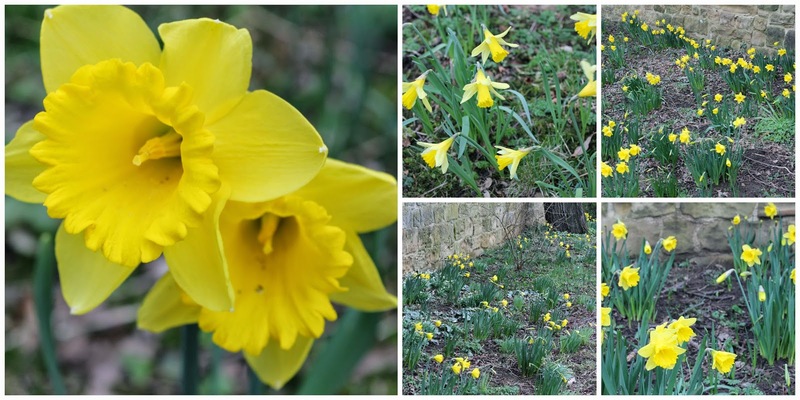 Last week I went in search of daffodils at Hardwick Hall and found I was slightly too early. The moral of this tale is if at first you don't succeed go back the next week! The blue skies and welcome March warmth had gone this week to be replaced with heavy grey clouds filled with oncoming rain. Before we got to the gardens the junior JabberJabbers insisted on playing some of the games on the lawn in front of the shops. The kids then spotted their cousin and Master JibberJabber had to show him the tiny fairy houses carved into two of the trees in the main garden. I was apprehensive if the daffodils would be out yet with such a bleak looking sky above but once we finally got round to them I wasn't disappointed. Whilst walking down the path we could hear cries from the other side of the wall. If you go through the East Court garden at the back of the Hall you can see the sheep grazing. As we walked round the little lambs whose bleats we heard on the other side were clear to see. Some where huddled up against the wall but most were following their mothers about. 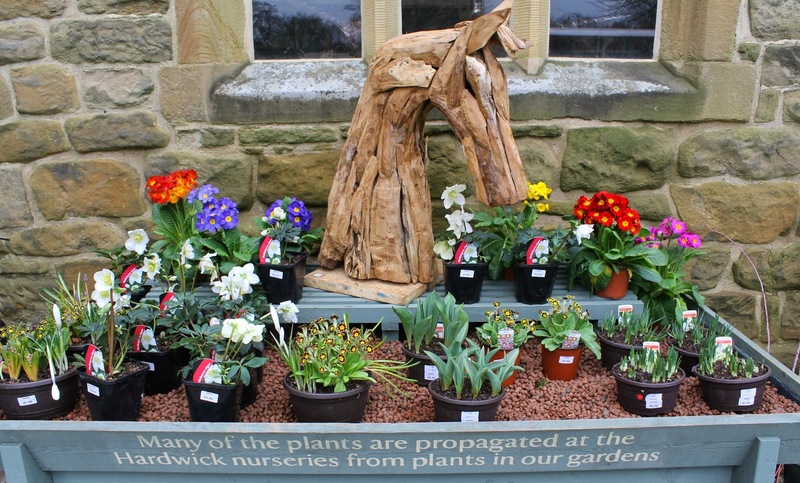 If the yellow of the daffodils in the garden had you yearning more colour the delightful display at the flower shop must prove to be very tempting. For once I was able to resist! Aw lovely little lambs and beautiful daffodils. Great to see some spring is in the air for children to get out, even the clouds are saying different. My kids keep hoping to see baby lambs in one of the fields around us but so far none. It really does feel like spring when the lambs and daffodils are about. I love lambs and we should get some soon here at Eco-Gites. There's a field of them on locally and I have to stop if I have time for a good stare. They are a right hodgepodge with some back, some white and some a mixture. Gorgeous. Thank you for adding some spring lambs to #AnimalTales. Oh lambs, gorgeous! So excited by all these wonderful spring images. I am already in Easter mode. These sound really interesting and I'm pretty sure I've got most of those ingredients already in my cupboard!